Installing the Nest Thermostat is a great step towards making your home a smart home. If you have an Alexa device, like an Amazon's Echo Spot, Echo Show or Echo Input, you can make your Nest Thermostat voice controlled through Alexa. The process works with non-Amazon Alexa devices, too, like the Facebook Portal. Here's how to connect Alexa to a Nest Thermostat and why you should. These instructions work with the Nest Learning Thermostat Generation 2 and 3, and the Nest Thermostat E. In Europe, Alexa is not supported on Nest Thermostat E.
Alexa and Nest can make a great team. Voice control through Alexa can be useful when you don't (or can't) get up to change the temperature and you can't find your phone to use the app. This is a particularly good system to set up for older relatives with mobility issues that can remember simple Alexa commands, but don't like using apps. To connect your Nest and Alexa, you're going to need the Alexa app, so grab your phone. From there, the process just takes some finger taps. Tap the three lines on the upper-left side of the screen to open the menu. 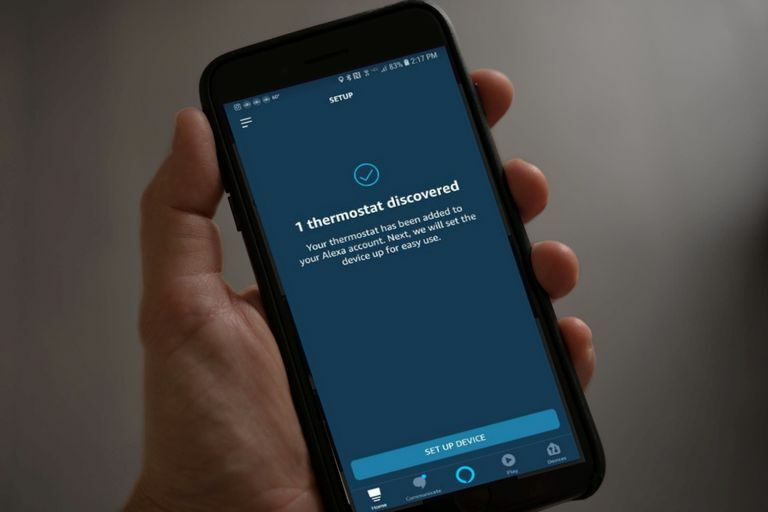 Scroll down the list of devices and tap Thermostat. Tap Nest from the list of options. Tap Continue, then tap Enable To Use. A Nest sign-in page will pop up. Log in to your account. A screen notifying you your Nest and Alexa is now linked should pop up. If the screen doesn't pop up, make sure the Alexa device and the Nest are both connected to your Wi-Fi network, then go through the steps again. Tap the X in the left corner of the screen or tap the back icon on your phone once. Tap Discover My Devices on the popup screen. Tap Set Up Device > Skip from the on-screen choices. Alexa, what's the temperature inside? Alexa, set the “thermostat's name” temperature to ___ degrees.